" ...she is skilled in project management, organisational change and team building and I have no hesitation in recommending her "
Why your team needs an "odd one out"! Several years ago, I was recruited as part of a hand picked "matrix" team of functional specialists to introduce commercial and retail strategy to a large company that had, until then, worked on a traditional cost plus basis. This was a pretty tough call as the team had to try and achieve major culture change by influence alone. With so many "doers", someone has to be responsible for the planning!" Traditionally, we recruit specialists to our management teams to perform specific roles. Those roles are part of an agreed strategy but, what happens when something outside of the norm occurs that needs a different approach- and fast? Usually we take one of our specialists and give them the problem. Invariably this person already has a day job and, as a "doer" has neither the time nor the patience (or possibly even the skill) to execute a really robust solution to the current problem and to ensuring it does not recur. 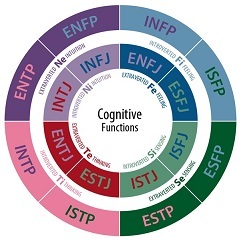 What my "MBTI" boss had recognised was something that many companies or teams give no consideration to, especially when resources are tight and the pressure is on. She realised the critical importance of dedicated project management support to the success of a company going through a period of change. Skilled project managers, by their nature, may not be the visionary leaders who create brilliant strategies or innovative solutions but they will be the ones who make sure that those strategies get delivered, on time, on budget and with all stakeholders firmly on board. A skilled project manager will spend the time assessing all risks to delivery and making sure there are contingencies for every eventuality. Their role is to handle the chasing, the communication and the form filling which will enable the experts to get on with delivering the solution. How long will the project take to deliver/what resource will it need? Can you attribute an estimated financial benefit to the project or a financial risk of not taking action? Is there a specific deadline for delivery? Who in the company has the knowledge and experience to lead this project and how much available time do they have? Is there a gap between the resource needed and the resource available, what impact does this have on delivery deadline and what is the approximate cost per day of none delivery? Can that gap be effectively met by an experienced project manager on a short term contract? Your final question may turn out to be not, "Can we afford to employ a project manager?" but rather, "Can we afford not to employ a project manager?"